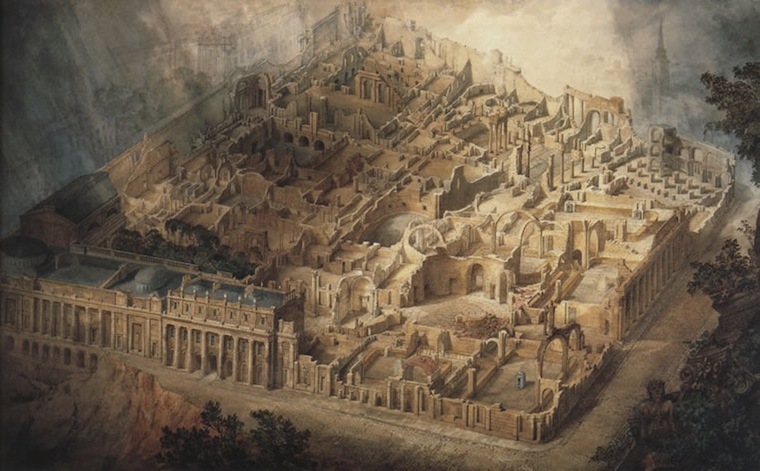 Joseph Gandy, A Bird's-Eye View of the Bank of England, cut-away perspective drawing of the Bank of England as a ruin, 1830, London. Courtesy of Sir John Soane’s Museum. Speculative capital investment is crucial to the production and purpose of contemporary architecture, yet both within and outside the profession, this relationship is ill-understood. Recent housing crises and the failure of international banks has brought the question of financial security closer to home. The cities we live in are increasingly shaped by the “creativity” of financial instruments, but we lack a broad discussion of their roles or pivotal impact on design. Viability studies and profit projections remain more concealed than the structural innards of the very buildings that they instigate. Investigating how architecture performs in a financial sense has led to design responses dictated by financial calculations and key cost drivers, often masquerading as aesthetic assets. This project seeks to explore exactly what speculative finance does for architecture, aiming to visualize the hidden, immaterial systems that determine so much of current architectural production. Shumi Bose is a writer, editor, and teacher based in London. She is senior lecturer for contextual studies in architecture at Central Saint Martins College of Art and Design, and assistant lecturer at the Architectural Association. She has held editorial positions at the Architect's Journal, Blueprint, Strelka Press, and Afterall, and has contributed to publications, such as TANK, Volume, and PIN-UP. In 2012, Bose was one of three curatorial collaborators working with David Chipperfield for Common Ground, the main exhibition at the 13th International Exhibition of Architecture at the Venice Biennale. Recent publications include Real Estates (with Fulcrum, Bedford Press, 2014), Places for Strangers (with mæ architects, Park Books, 2014), and Models Ruins Power 1 (Kommode Verlag, 2014).